“Are you allowed to talk about politics” asked a tourist visiting Old Havana. “Oh yes, we can talk about politics – the right kind,” said the tour guide with a wink. And this began a candid and enlightening exchange between a bus load of cruise ship passengers and their Cuban host. During a brief stop he told the group “I am one of Cuba’s Lost Generation. We were born in a time when we were expected to work and deliver the promise of the revolution. Cuba still had wealth. We did not know of the poverty that was to follow.” He was born in the 1960s. “We can discuss anything you like, but not the source,” was his response to another question aboard the bus. For the purposes of this article his name is Alexis. His glasnost is to be highly respected, as he treated his guests, the way the entrepreneurial way works. Alexis then smiled at another nearby passenger who was fooling with her smartphone and slyly asked, “Are you recording this?” The implication was obvious, yet his demeanor remained loose and friendly. A real pro, as Brittany Hunter describes about the Cuban tourism entrepreneurs and their appreciation of Americans. And this was the rule. Cruise ship passengers disembarking in Havana must first clear immigration, and then currency exchange. Getting a few thousand people off of two cruise ships arriving in a foreign country at the same time requires patience. And the lines moved. The officers were friendly and the money changers were efficient. There seemed to be a silent affirmation that they were damn glad we were there. The process took about an hour, at least on that day. And while the $75 temporary visa fee is heavy handed, and supports the regime, it also provides the workers a source of earned income. And the opportunity to interact with people who enjoy freedom, even those who are clueless about their dumb luck. Cuba is well known for its world class cigars, rum, and coffee. And apparently during Havana’s heyday as an international tourist mecca (before darkness fell over the island in 1959) they also offered world class Mojito’s and Daiquiri’s. That hasn’t changed either. Two of Ernest Hemingway’s favorite watering holes have the best ingredients and recipes anywhere. When asked about the Mojito, Alexis explained, “we use a special mint with a mild flavor.” A state secret revealed. The establishment serving them is La Bodeguita Del Medio. While the group waited outside, Alexis was asked if they sell souvenir cocktail glasses, they could make a lot of money after all. He said “No, it’s not allowed. This place is government owned.” The daiquiri joint was a fine, old restaurant named Floridita. A bronze statue of Hemingway was sitting on a bar stool in the corner under a small bust of Vladimir Lenin. In the opposite corner they were selling souvenir cocktail glasses, coasters, and t-shirts. When a naïve American asked the doorman if this was a privately owned restaurant, with a smirk and a shake of his head he replied “No!” Go figure. On the other side of town Alexis pointed out the window of the bus to a very long line winding around a building. He told his passengers “they are waiting for permission to emigrate to Spain for a better life.” Alexis ended his walking tour in the courtyard in front of the old stock exchange that has been dormant for 60 years. Nearby was the cruise terminal, recently given new life and breathing hope for the people of Cuba. 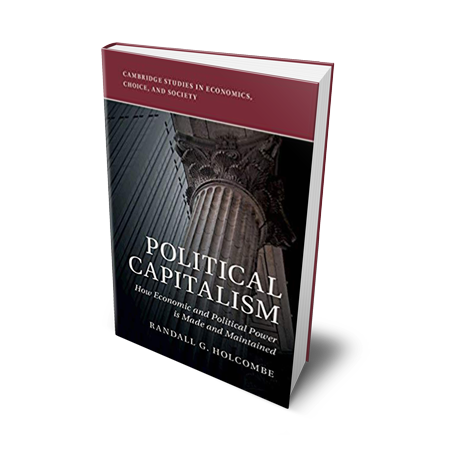 One working symbol of capitalism had moved in where the previous one had been abandoned. It was a short walk to the dry goods store recommended by Alexis. It was small, well run, and stocked with two each of the best brands of cigars, coffee, and rum. An average single Monte Cristo or Cohiba was 7 convertible pesos, about equivalent to 7 US dollars, or 17,000 Cuban pesos. A perfect example of socialist central banks stealing the wealth of their citizens and squandering it by inflating the currency. Upon leaving the fantasy land that is Old Havana’s tourist district, the luxury cruise ship passengers were able to get a glimpse of Cuba’s reality. Ugly low rise and high rise apartment buildings of Soviet realism design filled the shoreline as the ship passed. It was a perfect summer evening, the sun was setting on the Port of Havana, and yet something was missing. The passenger on the pool deck earlier that day, admiring “the struggle” endured by Cubans over crass commercialism, while sipping a frozen margarita, could not see it. The expert pundits on the ship’s elevator that morning, complaining about innovation taking jobs, could not see it. The thousands of windows overlooking the harbor were completely dark. The residents had no electricity, at least not then. Only the headlights of a few cars moving along the shore way exposed signs of life. The reason is totally obvious, socialist economic planners are in the dark about allocating the resources needed to efficiently operate a complex system. This always leads to a complete breakdown in production. It’s not that the dictators are restricting electricity, it’s that they can’t produce it. This leaves everyone in the dark, literally. However tomorrow’s arriving cruise ships will bring more light, and not just their own. They foretell the approaching light of free markets. And it turns out Alexis also kept something in the dark. The Lost Generation is a lot more than Cuban children born into a socialist nightmare. The Lost Generation had been made famous in Hemingway’s greatest work, The Sun Also Rises. It described a generation of real people thought to be irreparably damaged by World War I, but proved themselves to be resilient and strong. 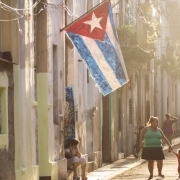 Creativity and strength also describes Cuba’s Lost Generation, and belies Alexis’ modesty. Almost two years ago, President Obama made modern history by reversing the outdated Cold War policies that have kept the Cuban people isolated from the American economy. While this move was arguably one of the Obama Administration’s most free-market-oriented decisions, many of these policy changes now stand in jeopardy thanks to President Trump. Last year, Trump announced that he would be reversing many of Obama’s recent reversals to the Cuban embargo, disappointing many who thought the Cold War may finally be coming to an end. “Effective immediately, I am canceling the last administration’s completely one-sided deal with Cuba,” Trump declared to a crowd of onlookers in Little Havana. Like many of the statements proclaimed passionately by Donald Trump, his actual actions are shallow by comparison. The presidential directive signed at the end of his speech did not actually do anything substantial. It did, however, demand that the Treasury Department and Commerce Department enact new policies and regulations to reflect the sentiment expressed during his inflammatory speech. 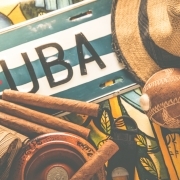 The restrictions put into place impact travel and economic transactions between the U.S. and Cuba, effectively taking our respective countries back to the early days of “el bloqueo,” the nickname given to the Cold War era embargos on Cuba. Calling the former administration’s decision, “terrible and misguided” Trump claims that it is necessary to perpetuate these economic restrictions in order to show then President Raúl Castro that America does not support his oppressive regime. In fact, he also asserted that Obama’s relaxation of Cuban sanctions has hurt its citizens rather than helped. To be sure, Raul Castro, who recently announced he will be resigning as president, is a leader unworthy of praise in almost every regard possible. However, for the leader of the almighty American empire to call out Cuba for its oppressive acts is a perfect example of the pot calling the kettle black. America’s trespasses against both its own citizens and the citizens of other nations may not be 100 percent comparable, but if there is any doubt that the United States is guilty of egregious acts, one needs only ask the innocent children residing in the rural mountainsides of Afghanistan about the U.S. drones that have become a permanent fixture in their nightmares. The aggressive acts engaged in by both governments may be different in scope, but they are acts of aggression nonetheless. If Trump really wanted to strike a nail at the center of Cuban communism while simultaneously encouraging the people to rise up and defend the institution of capitalism, he should allow the market to do its job. In the wake of Obama’s reversal of the embargo prohibiting U.S. citizens from traveling to Cuba, Havana has become a tourist sensation for Americans. Suddenly, Havana’s streets were filled with millennials gripping their selfie sticks and posting about how “vintage” Cuba was with its 1950s vehicles and infrastructure. To be sure, the reason Cuba has this “adorably” quaint appearance is because it has been isolated from the center of the global economic world for decades. Its vintage vehicles and infrastructure are the manifestation of being completely cut off from trade that would have allowed its citizens the opportunity to purchase modern vehicles. Sure, this scene may make for a great Instagram selfie, but the reality of the situation is simply devastating. 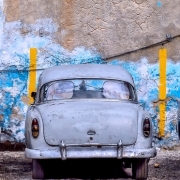 The Cuban economy has always relied heavily on tourism which made the Cold War embargoes particularly destructive financially. Having been born in the mid-1980s long after the embargo had gone into place, I was fascinated by old episodes of I Love Lucy that centered around the Ricardos visiting Ricky’s hometown of Havana. One particular episode that always stands out in my mind is one that aired right before the travel embargo was put in place. The episode itself is a flashback to the time when Lucy met Ricky during a trip to Havana. As the ship she is sailing on is making its way into the harbor, the camera shows a Havana street where vendors are sleeping and lazily passing the time. As they see the tourists come off the boat, a musical number erupts in which they sing about how they have been anxiously awaiting for the next batch of American tourists so they could finally earn the money needed to pay their bills. The scene essentially demonstrates how reliant Cuban entrepreneurs were on American tourists. While there were certainly tourists from other parts of the world, it was the American tourists in particular who made the largest impact on their economy. This episode becomes even more memorable when considering that shortly after it aired, el bloqueo was enacted, stripping Cubans of their most prized consumer base. Additionally, while the show is obviously fiction, there is a larger takeaway from this scene. It was not the government of Cuba reaping all the benefits from American tourism, it was small time entrepreneurs doing all they good to earn a living. Installing trade and tourism embargoes struck a blow to the citizens and gave the dictatorship of Cuba an ideal propaganda campaign against free market capitalism. This is exactly what has happened time and again in these countries as communist dictators declare that “capitalism doesn’t care about the little guy.” As the economic situation worsens, the people grow desperate and look to their oppressive regimes as the only solution to their financial woes. However, in a market free from government intervention, like trade and travel embargoes, governments would not be able to pass such restrictions so long as there was a robust market demand. When this happens, all parties involved benefit. For proof of this fact, one need only look at what happened after America reopened trade with China. Within a year of the Obama Administration scaled back travel restrictions, the rate of American tourism increased by 76.7 percent. Trump has claimed that his decision to continue these archaic embargos was born out of his disgust for communists regimes. While this may be at least partially true, this is not how the supposed free world is going to win over the hearts and minds of the Cuban people. These citizens are no strangers to the horrors of the both Castro regimes. They know more than anyone how collectivism works against the people. This is why, more than ever, they need to see firsthand how incredible the free market truly is. There is no greater incentive than the market. Over the past year, the Cuban economy has gotten a small taste of what the modern economic world looks like. To deny these citizens the opportunity to freely and voluntarily trade with American tourists is cruel. If Trump’s motives are really about liberating Cuba, and not about “sticking it” to the Obama Administration, then he would do well to allow both Americans and Cubans to economically interact with each other as they see fit. By cutting off Cuba from the American market, we are feeding into the same rhetoric perpetrated by dictators past and present. The only way to encourage the liberation of Cuba is to show them that the market is the greatest liberator of all.